An inexpensive and widely used medication for those with type 2 diabetes goes beyond its ability to control sugar levels and has been shown to slow down the aging process in non-diabetics. UK researchers from Cardiff University School of Medicine published their study, which reveals the possibility of a lifespan-increasing drug for non-diabetics in the journal Diabetes, Obesity and Metabolism. "What we found was illuminating," said the study’s lead author Craig Currie, a professor form Cardiff University’s School of Medicine, in a press release. "Patients treated with metformin had a small but statistically significant improvement in survival compared with the cohort of non-diabetics, whereas those treated with sulphonylureas had a consistently reduced survival compared with non-diabetic patients. This was true even without any clever statistical manipulation." Currie also believes that the medication could be used to treat people who had a life expectancy lower than the national average, which is 78 years old according to the Social Security Administration. Researchers examined data from the Clinical Practice Research Datalink collected from primary care doctors in the UK. For the study there were 78,241 patients treated with metformin, while 12,222 patients were treated with sulphonylurea, another diabetes medication, and 90,463 patients without diabetes were evaluated. Those treated with metformin also showed an increased lifespan out of the more than 180,000 participants they studied. It’s an oral medication that works by controlling the amount of sugar in the blood system by decreasing the amount of glucose your body absorbs from food and produces in the liver. "Surprisingly, the findings indicate that this cheap and widely prescribed diabetic drug may have beneficial effects not only on patients with diabetes but also for people without, and interestingly, people with type 1 diabetes,” Currie said. “Metformin has been shown to have anti-cancer and anti-cardiovascular disease benefits. 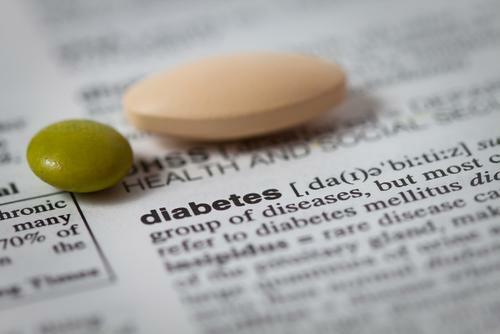 It can also reduce pre-diabetics' chances of developing the disease by a third." However, he adds those with type 2 diabetes may need more aggressive treatment approaches as their disease progresses and worsens. Type 2 diabetes is the most common form of diabetes, and its prevalence increases as the overweight and obese population increases. The body stops producing enough insulin from the liver to control the sugar levels for energy. When food breaks down, it either deprives your cells of energy by not absorbing sugar correctly, or overtime, sugar levels are become so high that it harms major organs, according to the American Diabetes Association. "People lose on average around eight years from their life expectancy after developing diabetes," Curries said. "The best way to avoid the condition altogether is by keeping moderately lean and taking some regular light exercise." Source: Currie CJ, Bannister CA, Holden SE, et al. Can people with type 2 diabetes live longer than those without? A comparison of mortality in people initiated with metformin or sulphonylurea monotherapy and matched, non-diabetic controls. Diabetes, Obesity and Metabolism. 2014.